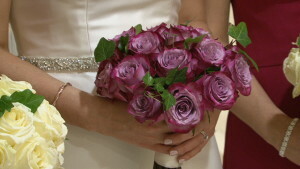 This week’s article is about a great hotel for your wedding day in Tipperary. 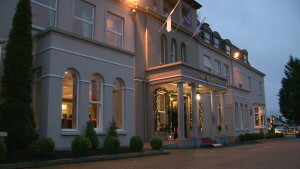 Over the years filming wedding videos I have come across some fabulous hotels and this week is all about the Abbey Court Hotel in Nenagh, Co Tipperary. 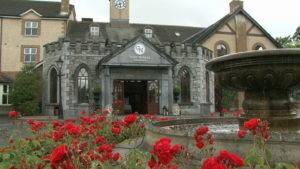 The Great National Abbey Court Hotel is one of Ireland’s landmark 3* hotels, located in Nenagh, a town bursting with life and steeped in history. From the moment you step inside the Great National Abbey Court Hotel in Nenagh you’ll find Irish hospitality, professionalism and individual service only matched by a breath-taking array of business and leisure facilities. The hotel is one of the finest Wedding Venues in Tipperary and also boasts top class Conference facilities. This is all wrapped up in the hotel’s quirky features: from an oasis that is the Great National Abbey Court’s extensive gardens to family friendly facilities that are the envy of hotels nationwide. 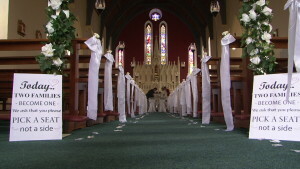 As a videographer I get to see how things operate on a wedding day behind the scenes so to speak! When I arrive to the Abbey Court on the day of a wedding I am greeted by Ray, the Deputy Manager, and right away Ray will fill me in on the proceedings of the evening while we await the arrival of the bride and groom. At this point guests are enjoying a fantastic selection of sandwiches, mouth-watering scones and of course the life-saver: tea & coffee! I must say the food for the guests as they arrive sometimes after a long drive is very welcome and appetising! When the newly married couple arrive Ray is on hand to greet them with red carpet and champagne. From here the couple are lead in to the hotel to mingle with their guests and at this point it’s my chance to get some great footage of the couple chatting and relaxing with their guests. Soon after this their photographer will take the couple to the fabulous gardens the Abbey Court has on offer for some family and friends photographs. I also get some quality fly-on-the-wall footage at this point. 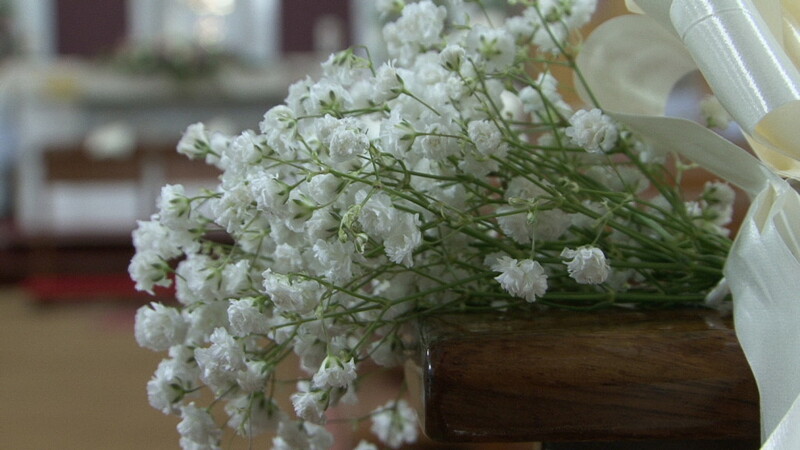 It’s then time for me to go to the wedding reception room to film the little details the couple might have placed on tables etc. The room layout is always impeccable – clean, well laid out, with fantastic mood lighting and not a saucer out of place! Time to call in the guests! The Abbey Court makes sure no one is waiting for their meal as the bell is rang in good time – this is a sign of a well ran hotel with a great team. The couple are applauded into the room with their favourite piece of music which can be great fun. Ray is on the ball when it comes to wedding suppliers, especially videographers – he makes sure we are tuned into the hotel system so our audio is 100% for the speeches and also makes sure we are present at the important times, he will come looking for us! I hope my small article on this great hotel has done it justice. Of course The Abbey Court is there for a lot more use than just weddings, I’m told it’s a fantastic hotel to stay in and I know from experience that the food is top class. And the staff? Well I will put it simply … 100% award winning team! I hope you enjoyed reading about my visits to the Abbey Court, and if you are planning on getting married in this great hotel and would like to see a sample of a wedding I have filmed there please get in touch. 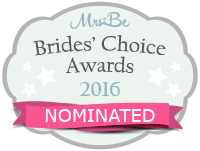 Well done to Abbey Video Productions The Mrs2Be Brides’ Choice Awards 2016 winner! I was nominated last year and was honoured to become a finalist. This year I was nominated by a couple whose wedding I filmed early in 2015 and I progressed once again to the finals, but this time I went all the way and won! It’s a nervous wait to see how things go with the judges and of course how the couples vote. 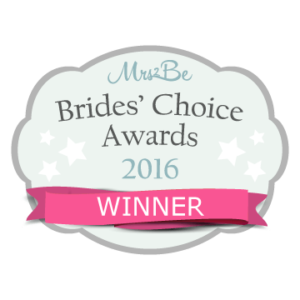 But as I always say, every wedding video I complete is a winner for me – when I get an e-mail, text, Facebook review or a phone call to say how delighted a couple are with their wedding DVD, well I just won all over again! Favour envelopes are another increasingly popular idea, and anything can be placed in them and left as a surprise for your guests. 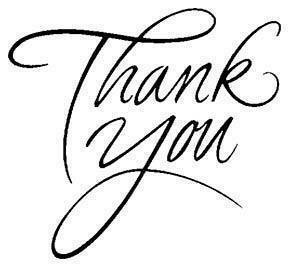 A photograph or a note of thanks can be especially heartfelt for guests, many of whom may have travelled a long way to be present. Scented candles are also growing in popularity as a wedding favour and are often found at Irish weddings in Tipperary and Kilkenny in particular. The candles can be personalised with your own unique message or you can buy them ‘off the shelf’, but either way they will create a wonderful aroma in the room and give your guests a lasting memory of the day that they can take home and keep. Of course you can break the bank if you choose to. While most brides and grooms have a limited budget which they’ll try to stick rigidly to, some couples will be able to lavish expensive wedding favours on their guests. If you can afford to, then why not? Sweets are one thing, but a handmade cake with a personalised message will really impress your guests and they’ll certainly remember the wedding for a long time to come. 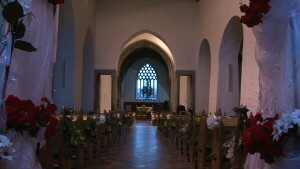 Wedding Ceremony Singer & Piano player, Sean De Burca studied music at The University of Ulster & The Royal Northern College of Music Manchester. Offering a portable grand piano Sean offers a package of wedding ceremony and drinks reception music. For you ceremony, choose from 100’s of songs and instrumentals :- From classical standards and traditional Irish songs, to modern favourites of today In addition to singing for your wedding Ceremony Sean can offer a lively variety of music for your pre-dinner drinks reception ;- including Ratpack songs, from Michael Bublé, Elton John, Billy Joel & Bruce Springsteen to Ed Sheeran, Bruno mars, Coldplay & David Gray….Sean is also known for his entertaining performances as the Piano man at the Galway Radisson Hotel. Playing piano & singing has always been my passion. As a child, as soon as I could reach the keys I was trying to make music.Growing up I was inspired by the great piano – singers like Billy Joel, Elton John, Ray Charles, Nat King Cole.. 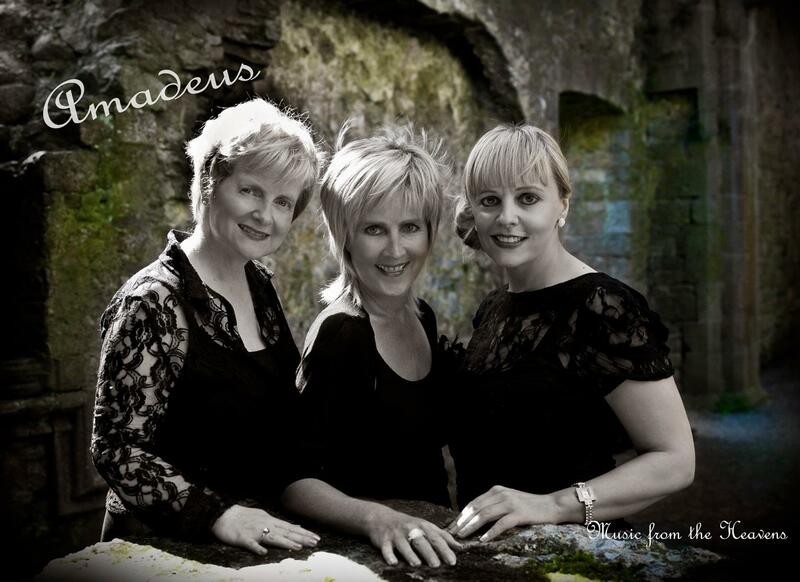 I also sang in choirs and musicals, and won many songwriting competitions. After studying music at University I later worked as a musical director and Head of music at an Arts College in the UK. Today I work full time as a piano vocalist at events, weddings & festivals.